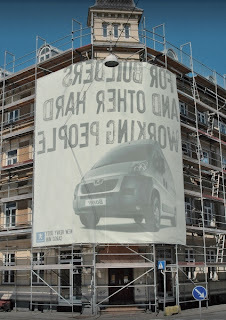 A billboard for Peugeot in Denmark facing workers on the scaffolding, saying "For Builders and Other Hard Working People". Denmark? Why is it in English?